LIMITED TIME FREEBIE! Expires Nov.21, 2018. 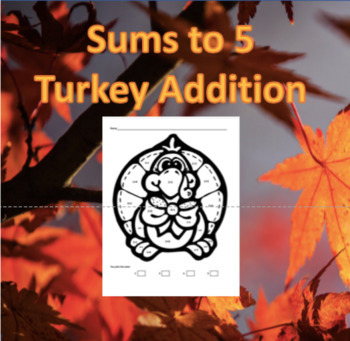 This coloring sheet allows students to choose the color and create a key for each sum. Students can choose colors of their choice for any parts of the picture that does not have a math fact. This sheet covers sums to five and provides practice in fluency. Eventually, I will add subtraction to 5 and addition and subtraction to 10. At that time a reasonable price will be set for the bundle.